PS I don’t work for Wilton or know anyone that does. It is just EASY! Are Oreo Balls part of the workout? Just kidding, I love oreo balls! these are officially on my “to make” list for a cookie exchange i’m going to on dec. 20. i’ll take pics for ya! I’m so glad I remembered these – I just remembered I have to make something for work tomorrow! Do you think they will be ok without dipping them in chocolate? Or will they not be as good….? Pingback: Give Me Bananas » Blog Archive » Cookies Galore - A blog about bananas, chocolate, tea and other important things in life. Pingback: Baked Out! « Okay, Kaye? Okay, I am going to be brave and try these but I wanted to know how you coat them with peanut butter. Do you melt the peanut butter and it just hardens as it cools? Please advise….I need help! THANKS SO MUCH!! One guy even asked me to make them for his son’s birthday party in March! These are delicious. Thanks so much! I have been making these for years! they are the best, and so very easy! and everyone loves them! Ok so I just made these along with your snickerdoodle recipe and they both turned out amazingly! Also just had a thought.. I liked the idea of covering them in peanut butter. But what could also be very, very good is mixing peanut butter with icing sugar so its easy to mold.. make quite small balls of the peanut butter mixture then put the oreo balls over the top so there’s a peanut butter surprise in the middle. yum! Resources like the one you Nike Dunks mentioned the following will probably be quite helpful to myself! I will post one of the links to this page in my blog. More than likely my visitors will find that very helpful. Houses are not very cheap and not everybody is able to buy it. However, loans was invented to help different people in such situations. Ok, how do you do the peanut butter coating? Cause coated in chocolate these are amazing, so I must make them again. And do you have any tips for getting them off the fork without having to drizzle chocolate on them to fill the gash I made pushing the ball off? Either way these taste so decadent! I make these with mint oreos and dip them in melted white almond bark. They are AMAZING! They taste like the mint girl scout cookes but moist and better! Oh, and for some reason the mint never requires as much cream cheese as regular oreos. 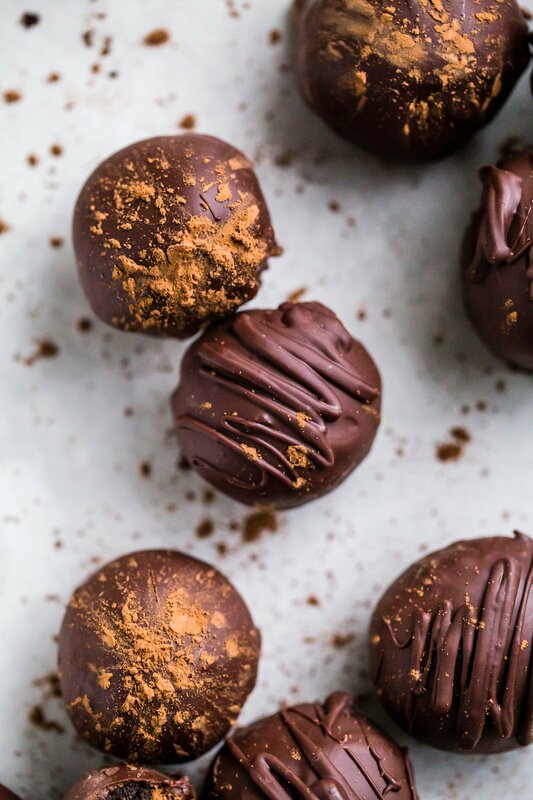 I do these and they’re great, but we like NUTTER BUTTER BALLS even better! Same principle, but use Nutter Butters and coat with milk chocolate. YUM! Hey there! Just coming over from Pinterest… Could someone please tell me how many this makes? Has anyone ever made these and sent them to someone in the mail? That is what I am wondering. Does anyone know if these can be mailed? I made these for school yesterday and have previously made them before. Is there any way to make them without cream cheese or any dairy? One of my old teachers hates cream cheese, and the other is lactose intolerant. They both love chocolate and they never get any when I make them. My boyfriend’s mother makes them with mint oreos… the most delicious thing in the world. Not too minty! Definitely! They stay great for… months, actually. Pingback: Dunked! Two more Christmas Treats: Oreo Balls and Peanut Butter Balls « Okay, Kaye? Try them at room temperature…… Even tastier! Surefire crowdpleaser, and so easy. i just made these with unthawed cream cheese. Can I refreeze them or if not how long can I keep them in the fridge. How many oreos do you need? i leave in mexico so i need the amount of cookies to make the recipe since we do not have the same packs as USA.